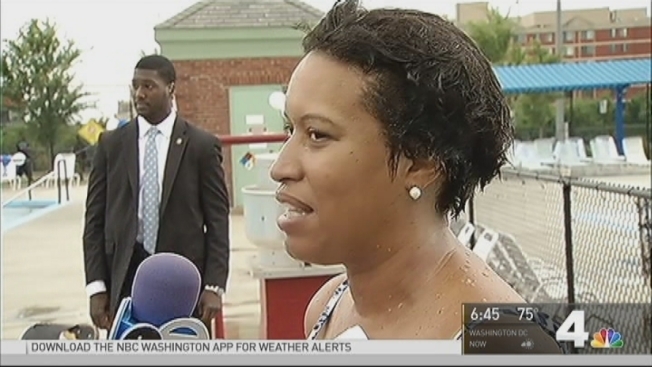 Memorial Day marks the unofficial start of summer, and Friday D.C. Mayor Bowser made a splash as the city gears up for pool season. News4’s Mark Segraves tells us about one popular pool, East Potomac Park, will remain closed this year. NOTE: This article is from 2017. For 2018's information, please go here. Cannonball! Pools across the D.C. area are open to swimmers. The District has 18 outdoor pools, 11 indoor pools, 23 spray parks and two children's pools. Facilities opened on a weekend basis over Memorial Day weekend, but now that school's out, D.C.'s outdoor pools are open on their individual schedules. Spray parks will be open from 9:30 a.m. to 8:30 p.m. as of June 30, the D.C. Department of Parks and Recreation (DPR) said. Find info on all of the District's indoor pools, outdoor pools and spray parks online here. Fourth of July Schedule: All D.C. DPR summer camps, recreation/community centers and indoor aquatic facilities will be closed July 4. Outdoor aquatic centers will be open from noon to 6 p.m. that day. Admission to D.C.'s outdoor pools is free, but swimmers must present a D.C. driver's license or identification card. Students from area universities can also present their student IDs. Non-residents must buy a swim pass.